Do you hate when your pens fail to deliver a consistent line, and instead skips across the page? 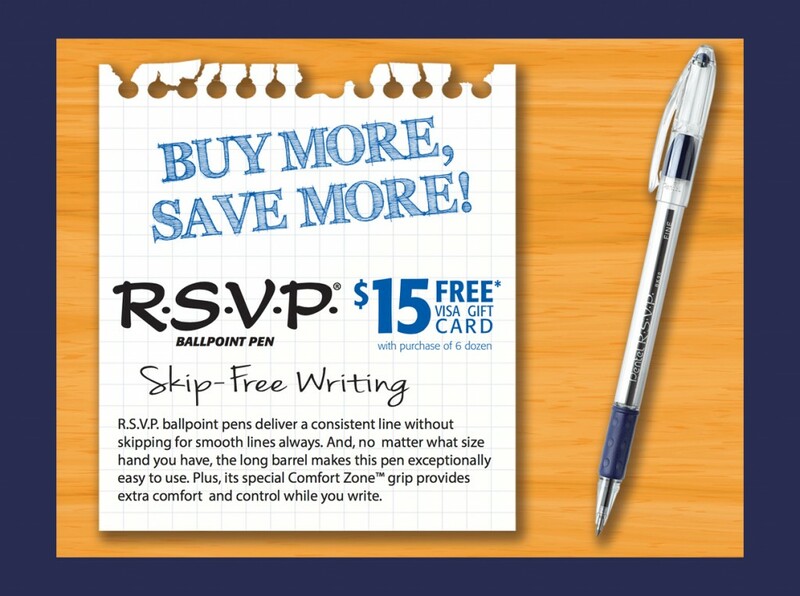 Then consider Pentel’s R.S.V.P Ball Point Pen! R.S.V.P pens create smooth lines that are skip-free! Plus, their ComfortZone grip provides extra comfort and control!